Working through content and activities in the 3Rs modules as a professional learning opportunity for education faculty. Reviewing the range of teacher education and school resources and how these may be incorporated in university units of study. Utilising the 3Rs glossary of terms and related definitions, links and activities. The suite of resources can be presented in the form of a professional learning opportunity, enabling university faculty staff to reflect on a range of learning and cultural approaches and activities for their students. 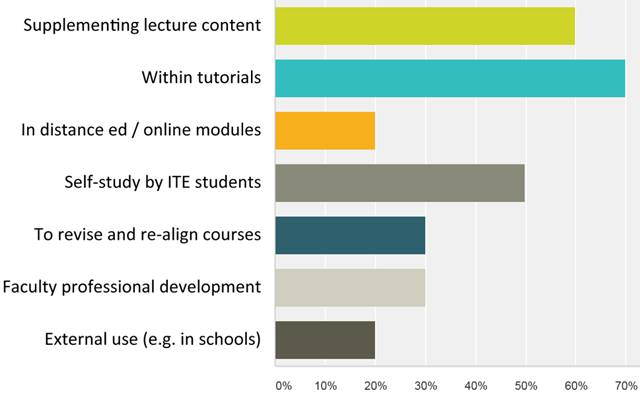 Following is a summary of survey responses from faculty staff in 2014.